The Penn State MRSEC received an overwhelming positive response to its first annual Women in STEM Mixer. This professional networking program connected 71 women and 7 men from a variety of STEM disciplines and multiple career stages, including undergraduates, graduate students, post-docs, research staff, faculty and industry representatives. 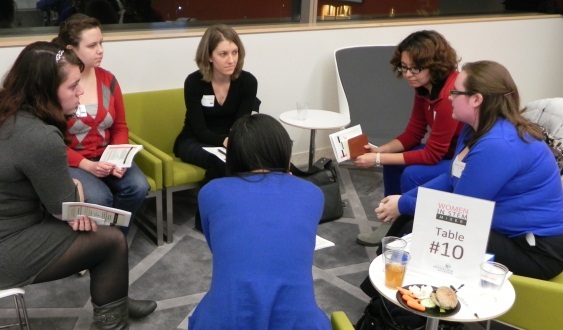 After the short feature Setting up for Success: Promoting Yourself and Your Research, attendees participated in three randomly assigned small-group discussions, each lead by faculty and industry cohosts. All participated in an open networking session and were encouraged to distribute and collect at least 5 business cards with follow-up contacts.